Nintendo's operating results were negatively affected by a strong Yen and Wii U manufacturing costs. Nintendo has released its operating results for the six months September 2012, and they don't make for happy reading. A strong Yen, which negatively affects exports, and manufacturing costs associated with the Wii U, its latest console due out in November, were cited as the two main factors behind its 29.1 billion Yen ($364 million) operating loss for the six month period ending September 2012. A modest gross sales profit of 44 million Yen was eaten up by operating expenses of over 73 million, resulting in a loss for the period. Geographically while net sales in Japan are doing very well, sales everywhere else aren't so great. North America is holding steady, with only a modest decrease; sales in the rest of the world have suffered a significant dip. 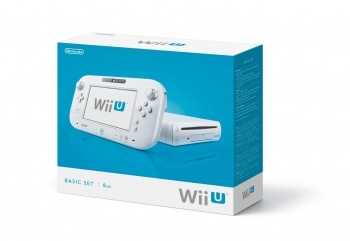 Wii hardware sales in particular have taken a hit, in Japan and everywhere else. In the Americas Wii sales are pretty much in freefall, actual hardware sales dropping more than 67% over the previous 2011 period, in the six months ending September 2012. A lack of new title releases - despite the success of Mario Party 9 - was cited in the report as the reason for this decline.